Traditionally, Native Americans have used Hierochloe odorata, commonly known as sweetgrass, to ward off biting insects. Now, a team of researchers believe they have determined the origins of the plant’s protective properties. The findings will be discussed in depth at the 250th National Meeting & Exposition of the American Chemical Society, the world’s largest scientific society, taking place in Boston on August 20, 2015. 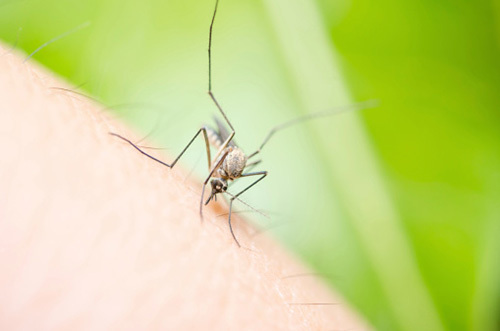 Mosquitoes are common pests in many parts of the world, but they can also spread diseases such as malaria or West Nile. The search for new ways to repel insects has been ongoing, and yet folk remedies have proven to be a good source of ideas. The methodology employed was relatively straightforward. Small vials were filled with a solution that, for mosquitoes, mimicked human blood. The vials were then coated in different substances: sweetgrass oil that had been extracted by steam distillation (the same process used to obtain essential oils from lavender and other plants) and sweetgrass extract obtained without steam distillation. For a control, they used a group of vials coated in DEET, considered a standard insect repellent. The number of mosquitoes that both landed or overlooked a vial were counted, along with the number that landed but didn’t feed. The sweetgrass oil showed similar results to DEET, indicating it had repellant properties. With this knowledge in mind, the oil was broken down into its components and these were checked using the same mosquito test to determine the chemicals responsible. The winners: phytol and coumarin. While a useful finding, in that the study offers scientific validity to a natural folk remedy, these discoveries have limited potential to lead to new repellants. Coumarin is already used in many anti-mosquito products and phytol’s repelling properties have already been known to science. Still, it offers backing to a natural treatment and may lead to sweatgrass oil being more widely used in the future. “Isolation and Identification of Potential Biopesticidal Compounds from the North American Insect Repelling Folk Remedy Plant, Sweetgrass, Hierochloe odorata,”(L.) P. Beauv. the 250th National Meeting & Exposition of the American Chemical Society (ACS). “Mosquito-repelling Chemicals Identified in Traditional Sweetgrass,” EurekAlert! web site, August 17, 2015; http://www.eurekalert.org/pub_releases/2015-08/acs-mci071615.php.